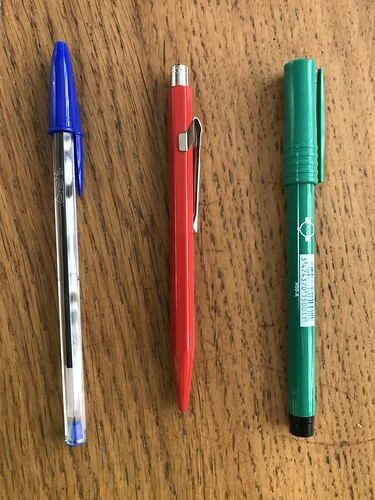 I can remember sitting in class at school, looking out of the window and fiddling with the little plastic colour indicator, clipped into the top of the lid of the Pentel. I swallowed one once. Very tiny. No harm done. 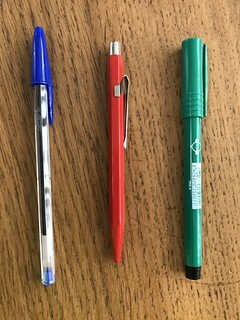 Are pen designs the most durable in our everyday lives? And did you know the history of the Caran d'Ache brand? Me neither.